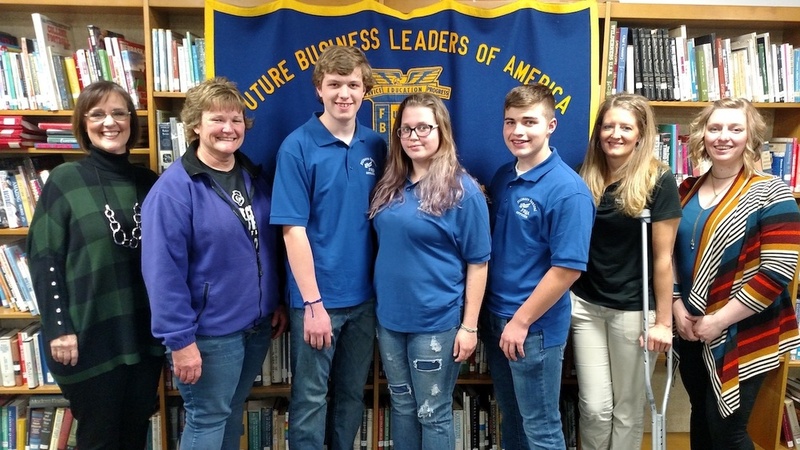 The Fillmore Central FBLA Chapter celebrated American Enterprise at Fillmore Central High School throughout the week of November 12-16. The focus of this year’s project is gaining an appreciation for the importance of entrepreneurship in the U.S. economic system. During the week, students and staff were challenged to identify a famous entrepreneur described during the daily opening announcements. On American Enterprise Day, several local entrepreneurs were invited to speak at the November FBLA meeting held Thursday, November 15. Through an earlier survey, chapter members had indicated an interest in hearing from speakers from fashion, food service, and personal care backgrounds. Megan Burda, who recently opened a traveling boutique along with established retail owner Patty Roper Epperson, who just celebrated Cumberland’s 70th anniversary, shared their perspectives on what it takes to be successful as a fashion entrepreneur. Jill Schmidt, owner of Jill’s Sweet Shop, shared that it is important to be involved in the community in which one is an entrepreneur. She also shared several rewards and challenges faced when owning one’s business. Terri Wusk, owner of Healing Essentials, shared the importance of embracing change as one grows as a business owner. She discussed how technology has changed the way of scheduling, billing, and promoting her business since it was started 17 years ago. The regular November business meeting and a catered meal began the evening. All members in attendance were able to attend two entrepreneurial sessions after which they were challenged to a team Jenga game relating to the importance of “building” one’s business solidly. The American Enterprise committee plans future activities for middle school and elementary students.